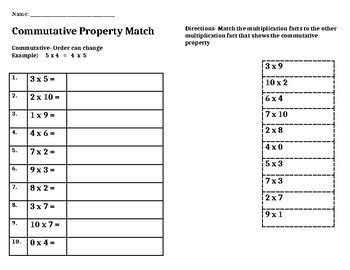 Students solidify their understanding of the commutative property with this matching worksheet. Directions are to cut out expressions on one side, and match with the expression on the right side. Great for independent work.